GARDEN CITY (October 29, 2018) – Breslin Realty Development Corp. is pleased to announce that Cary Fabrikant has joined Breslin Realty as the newest member of its Sales Team. Mr. Fabrikant’s real estate experience spans over 25 years in both the commercial and residential markets. He has previously handled residential sales for Wimbish-Riteway, Caldwell banker, Fortune International in Miami Florida, and has served as a licensed real estate sales person for Town Residential in New York City. Most recently, Mr. Fabrikant spent five years with Winick Realty Group, specializing in retail brokerage and advisory services. 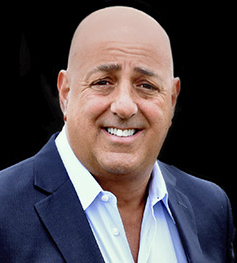 Mr. Fabrikant is a member of the Real Estate Board of New York (REBNY), and brings his well-earned reputation for honest and integrity to Breslin Realty, where he will continue to focus on landlord and tenant representation. Mr. Fabrikant looks forward to meeting with you at the upcoming New York ICSC Deal Making convention at the Breslin Realty Booth #2155. ABOUT BRESLIN REALTY DEVELOPMENT CORP.
Breslin Realty Development Corp. develops, leases and manages properties occupied by a successful mix of national, regional, and local retailers. Since 1953, Breslin Realty Development Corp. has grown from a small retail brokerage office to a multi-faceted commercial real estate company with extensive expertise in land planning, development, tenant relationships, landlord representation, real estate appraisal, financing, property management, and construction. Today, the company manages a portfolio of commercial properties totaling over ten million square feet. For more information about BRDC, our portfolio and diversified group of services, please visit us at www.breslinrealty.com. If you have interest in joining the Breslin sales team, please contact Robert Delavale at rdelavale@breslinrealty.com.